The fossilised remains of an early reptile dating back some 250 million years have been uncovered in the unlikeliest of places: Antarctica. The discovery shows how wildlife recovered after the worst mass extinction in our planet’s history, and how Antarctica once hosted an ecosystem unlike any other. Needless to say, palaeontological work in Antarctica is very different than it is elsewhere. Unlike Canada or the US, for example, which feature abundant rock outcrops, Antarctica is covered in a massive sheet of ice, obscuring much of its palaeontological history. And it’s not as if Antarctica doesn’t have stories to tell—it very much does. It was only recently, within the last 30 to 35 million years, that the continent froze over. Before that, it was home to a warm climate, lush forests, rushing rivers, and a remarkable abundance of life. To find fossilised traces of this forgotten life, whether it be in Antarctica or elsewhere, scientists need to find rocks. Antarctica provides only two possibilities: islands along its coastline and the Central Transantarctic Mountains—a spine of mountains that cut a swath through the middle of the continent. The tops of these mountains poke through the glaciers, creating a rocky archipelago—and a place for palaeontologists to do some prospecting. 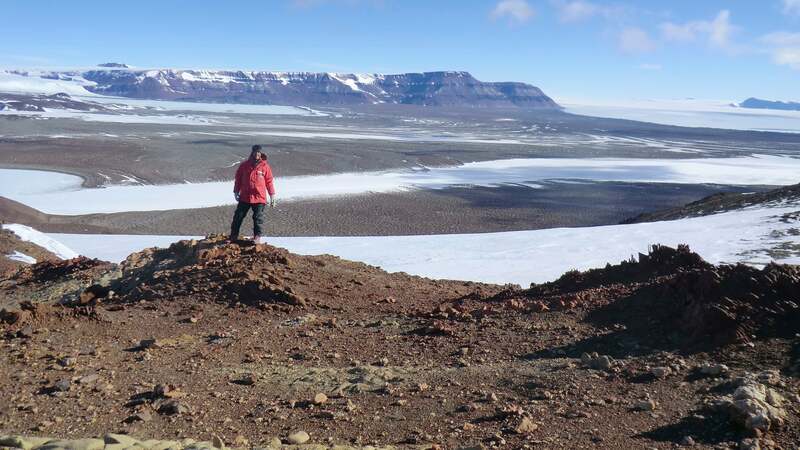 It’s here, on the Fremouw Formation of the Transantarctic mountains that Brandon Peecook, a palaeontologist with the Field Museum of Natural History and the lead author of the new study, discovered the rare Triassic reptile. Antarctanax means “Antarctic king” and shackletoni is a tip of the hat to British polar explorer Ernest Shackleton. A. shackletoni was an archosaur, sharing a common ancestor with dinosaurs and crocodiles and living during the Early Triassic Period some 250 million years ago. It’s now one of the earliest lizards to appear in the fossil record. Details of this discovery were published today in the Journal of Vertebrate Paleontology. 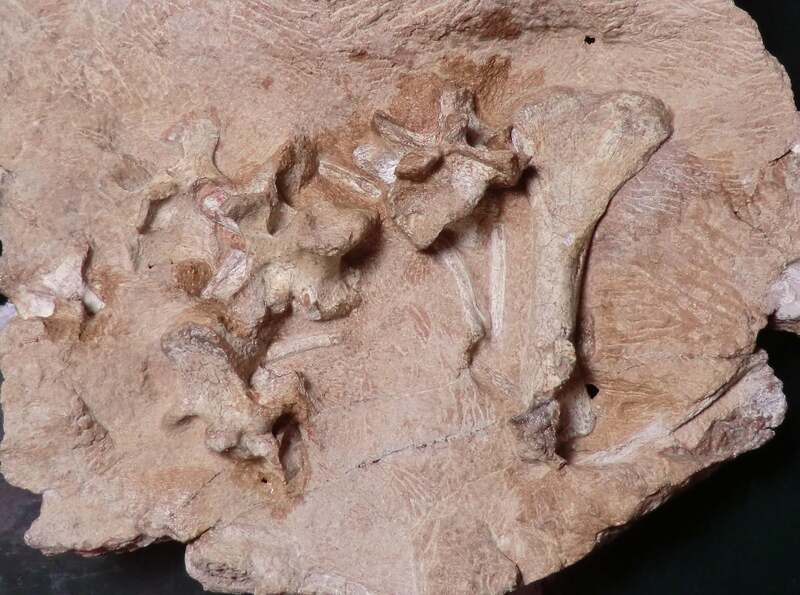 The partial fossil consists of an excellently preserved vertebrae (including neck and back), a partial skull, two feet, some ribs, and an upper arm bone. It was discovered during an expedition to the Fremouw Formation during the Antarctic summer of 2010-2011. 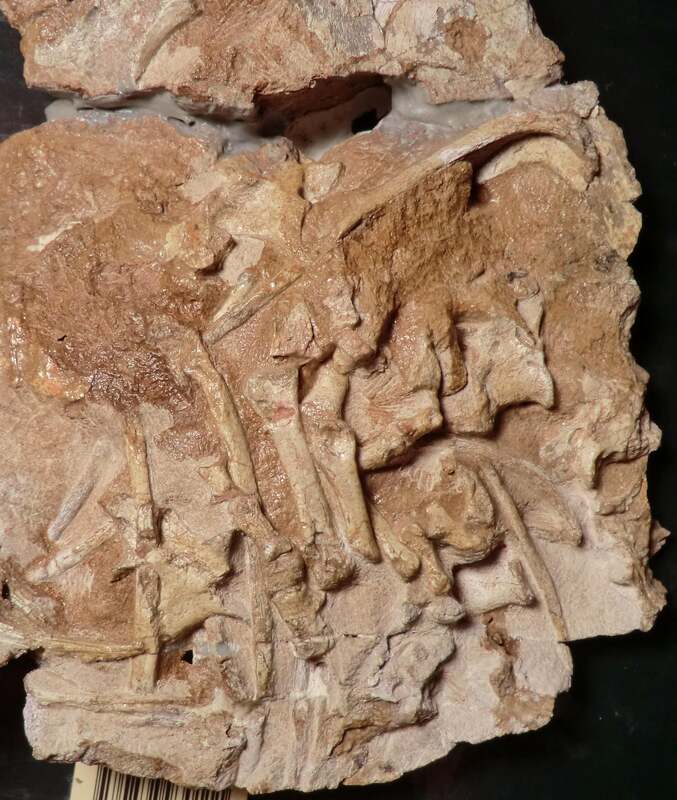 Analysis of these fossilised bones (particularly the skull) and the fossils found alongside it suggests it was a pint-sized carnivore, munching on bugs, amphibians, and early proto-mammals. Roger Smith from the University of the Witwatersrand in South Africa and Christian Sidor from the University of Washington in Seattle assisted Peecook with the analysis. The Early Triassic is of great interest to palaeontologists because it came in the wake of one of the worst episodes in Earth’s history—the end-Permian mass extinction, a time when extreme and prolonged volcanism wiped out nearly 90 per cent of our planet’s life. It resulted in a sweeping ecological reboot, setting the stage for the survivors to take over. Among these survivors were the archosaurs, who took full advantage. This discovery is also shedding light on Antarctica’s distinctive animals. Because Antarctica and South Africa were physically connected at the time, palaeontologists worked under the assumption that the two regions had much in common in terms of the local wildlife. And because fossils are abundant in South Africa, palaeontologists used this record to make inferences about the kind of life that likely existed in Antarctica. But as Peecook explained, this is turning out to be a mistake; Antarctica hosted an ecology unlike any other.